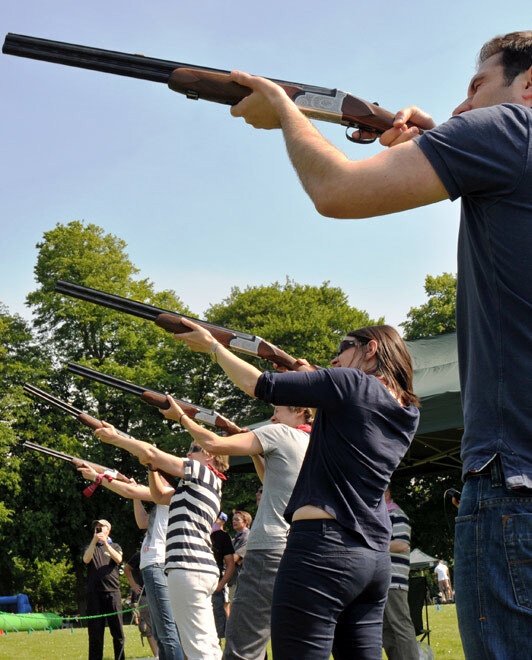 Laser Clays are popular all weather alternative to clay pigeon shooting. An all-weather, hi tech system which closely simulates the real thing. The laser guns have been modified to fire infrared beams at the clays. When the clay is ‘hit’, the beam is reflected back and your score is automatically shown on the master scoreboard. Sound effects add the final touch to this fun sport. We also have an indoor laser clays system, suitable for indoor events and evening events too!